Obituary for Charlene Doris Roberts | Fox Funeral Home, Inc.
She was a memb er Cabot United Methodist Church for over 45 years. She is currently a member of St Luke Lutheran Church, Cabot, Pa. Charlene was a dedicated mother and grandmother first and foremost. She treasured her children, grandchildren and great grandchildren and embraced every moment with them. She especially loved her role as great grandma (GG). Charlene loved card club with friends, bowling, camping and she especially enjoyed ceramics and completing and painting ceramic nativity scenes. She volunteered at the Cabot Methodist Church Food Bank for many years. She is the loving & devoted mother of Rochelle (Bruce) Harbison of Butler, Richard H. (Lori) Roberts of Myrtle Beach, SC and Ryan (Tracie) Roberts of Saxonburg and stepson Kent (Lucy) Roberts of Saxonburg. Grandmother of eleven, Joshua (Ashley) Harbison of Cabot, Shanon (Brad) Young, of Freeport, Lacey Roberts of New York City, Madison Roberts of Myrtle Beach, Allyson Roberts of Saxonburg, Mason Roberts of Alexandria, VA, Brooke Young of Saxonburg, Gwynne Roberts of Leesburg, VA, Jeff Foster of Kiski, PA and Ben and Maddi Thoma of Butler. She was great grandma to eight under the age of 7. 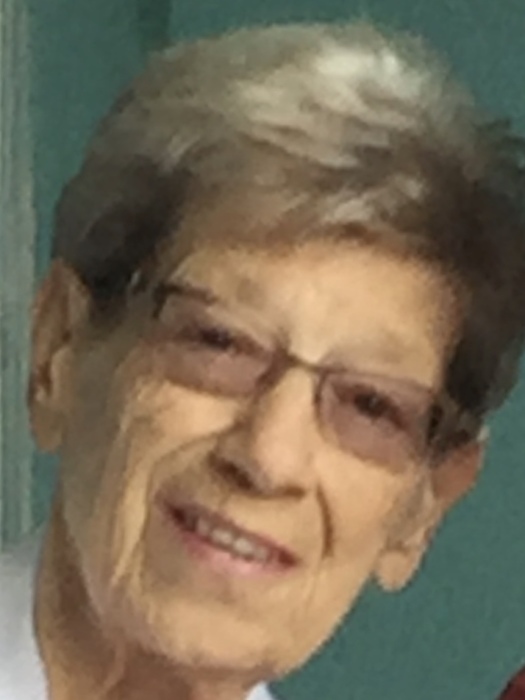 She was also cared for day to day while at home by long-time home aide and friend Barb Peiffer. She cared for Charlene for several heart felt years. Concordia Lutheran Lund Center was a godsend. The services they offered were perfect. The nurses from skilled care, the activities staff and the dietary staff and everyone in between made the stay like home and cared for Charlene with amazing compassion and caring. The professional and helpful staff, the friendly atmosphere, made Concordia a special place. Friends will be received on Tuesday April 16, from 5-8 pm at the Fox Funeral Home, Inc. Saxonburg, PA. Funeral services will be held on Wednesday April 17, 2019 at 1:30 p.m. at the St. Luke Lutheran Church in Cabot with Rev. Barry Keurulainen officiating. Interment will follow at Greenwood Memorial Park, Lower Burrell. Memorial donations may be made to Cabot U.M. Church Food Bank.